Improve your winter apparel collection by including this sweater from the house of Life. It features a stripe pattern, which is further complemented by a round neck. 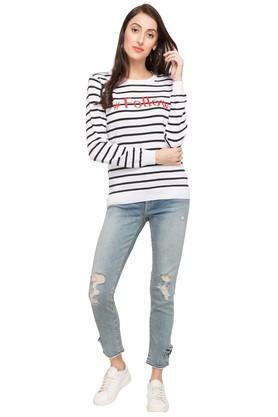 It also comes with full sleeves that add to the design, while the use of a superior quality fabric ensures optimum comfort for long hours. 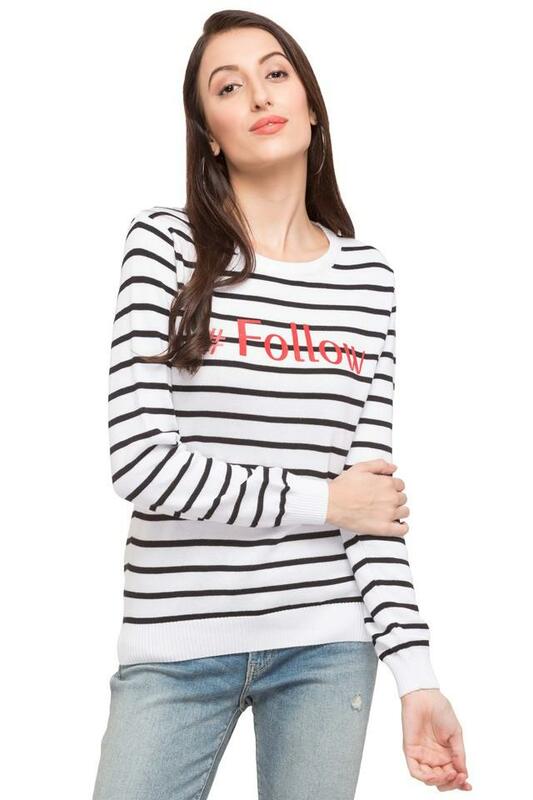 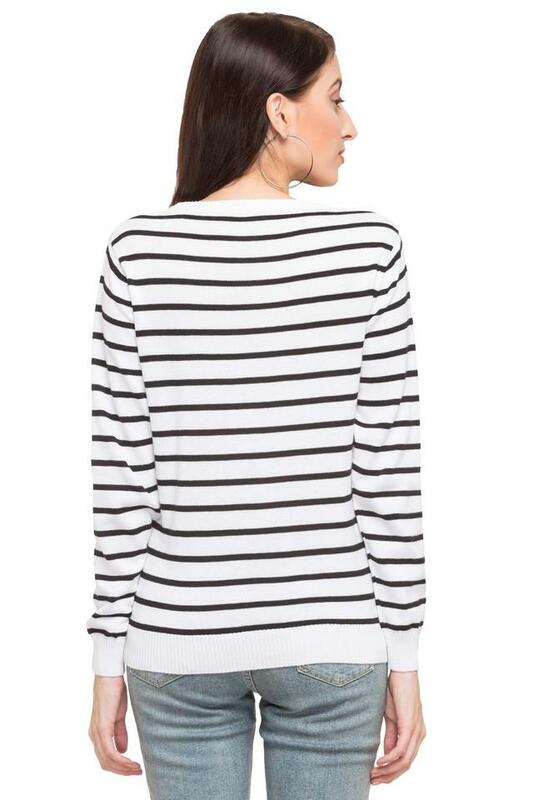 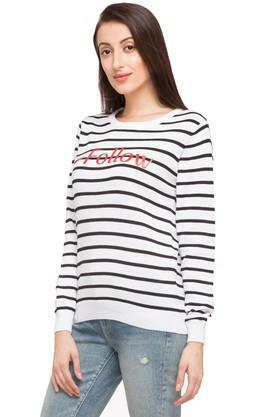 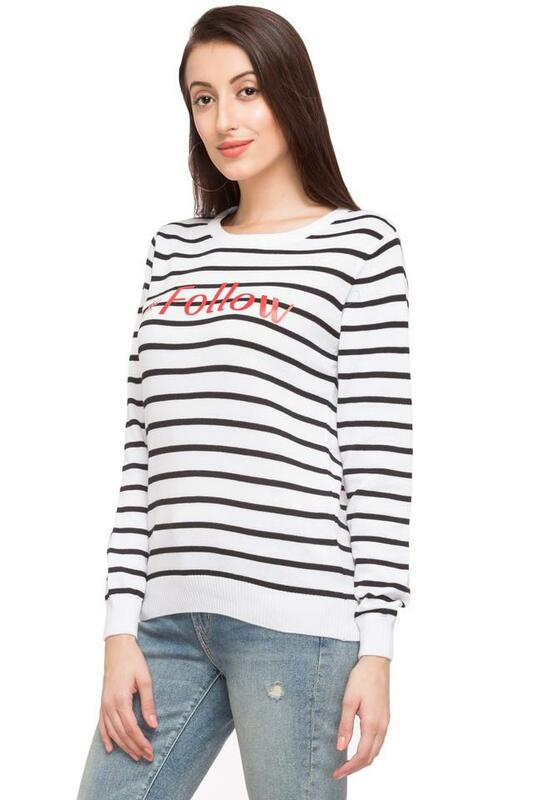 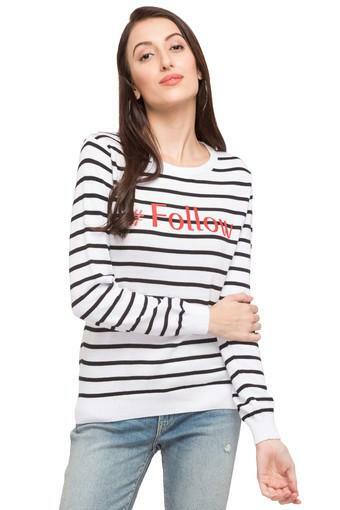 Get admired for your choice by wearing this trendy striped sweater for any casual occasion. 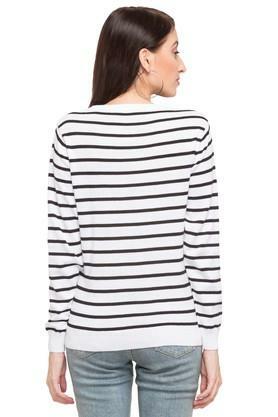 Team it with a pair of denim jeans and heeled shoes to look your best.